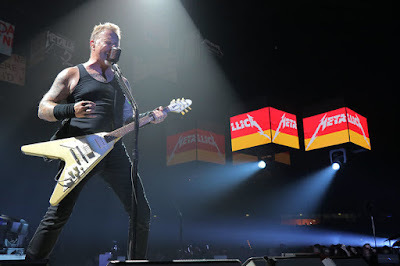 Metallica delivered the rarely-performed “...And Justice For All” track “The Shortest Straw” at Arena Leipzig in Leipzig, Germany on April 30, and the band are sharing professional footage from the event. The song was originally featured on the group’s 1988 album as the project peaked at No. 6 on the Billboard 200 on its way to US sales of more than 8 million copies. The veteran metal outfit are encouraging fans at home across the United States to volunteer for a day at the community food banks the band supported during last summer's North American tour. Each registered volunteer on May 23 will receive a special All Within My Hands t-shirt commemorating Metallica's first united day of service. Please note that space is limited and fans must register; unfortunately walk-ins will not be accepted.